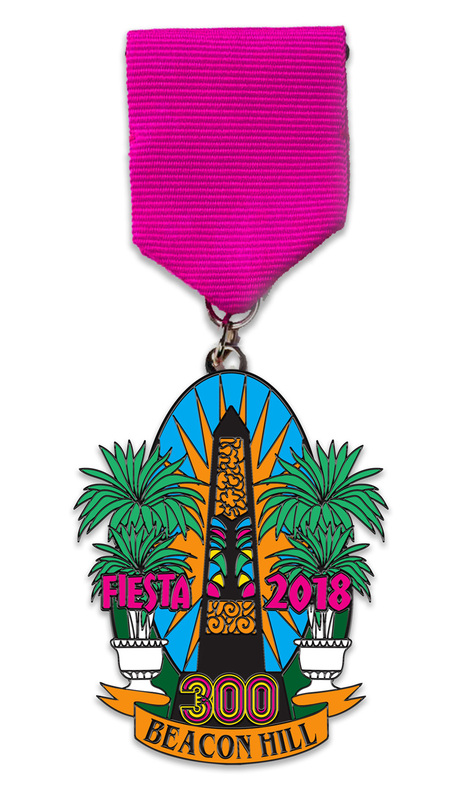 2019 Fiesta Medals now available!! Medals can be picked up in Beacon Hill at various neighborhood events. We will also offer free delivery in 78201 and 78212. We will contact you after purchase to arrange delivery or pickup. Please be sure to include your street address. Love the neighborhood, but hate the skunks? Let the world know how you really feel about living alongside them. Designed to fit over your Fiesta medal, or wear it alone. Very limited edition. Stickers can be picked up in Beacon Hill at various neighborhood events. We will contact you after purchase to arrange delivery or pickup. Please be sure to include your street address. We have a limited number of 2018 medals available. It features Angel Rodriguez-Diaz' iconic public sculpture at Fulton and Blanco. Read more about the sculpture here. Medals are available for pickup in Beacon Hill. We also offer free delivery in 78201 and 78212. We will contact you after purchase to arrange delivery or pickup. Please be sure to include your street address. View your cart to adjust quantities or check out. To add additional products while in your cart, click Continue Shopping in the upper right, and you will be returned to this screen. Both of our Beacon Hill medals were designed by neighbor and artist Regina Morales. See more of her work here. 100% of proceeds go directly to supporting the Beacon Hill Area Neighborhood Association, a registered 501(c)(4) non-profit organization.